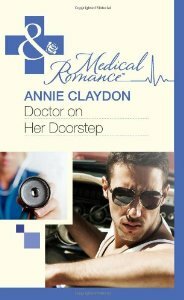 I met Annie Claydon only last year at the M&B lunch, because she’s very new to the M&B stable, but I knew we’d be friends the minute she joined the medical authors’ email loop and started chatting there – and I was dead right, because she’s as lovely in person as she is online and in her books. (I love her books, especially the astronomy scene – wish I’d written that one!) I had the pleasure of having a very posh cup of tea with her last year, and we have lots in common. And it’s also lovely to have a friend who understands hearing loss – I didn’t have to ask her to move so I could see her face in a noisy environment because she did it automatically. 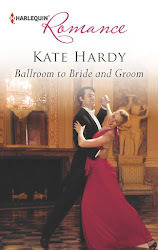 Kate, thank you for inviting me to help celebrate your 50th book, I'm thrilled to be here. There's another little celebration going on here in London at the moment, which has a few things in common with Kate's party. The Olympic Games is all about hard work, talent and achievement, and is being followed from all corners of the globe. But to Kate's credit, there are a some important differences - so far she's caused absolutely no disruption at St Pancras Station, nor has she managed to bring the Central Line to a grinding halt. I haven't received any merchandising emails from her either (although thinking about it, I'd definitely be up for a 'Team Kate' t-shirt). Last Friday I was one of the 200,000 visitors to the Olympic Park, and even in such a large area that number of people is a spectacle in itself. Add in the men and women from the Army, Navy and Air Force who deserve huge thanks for keeping the Park a safe place, the Volunteers, who have been the good humoured stars of the show, athletes from 205 countries, buskers, performance artists and a sprinkling of very cheery policemen and you get a wonderful crowd. I had tickets for the Basketball Arena, where the cheering, clapping and stamping of 12,000 spectators made the whole place shake. But 12,000 or even 200,000 is a drop in the ocean when you consider how many copies of Kate's books have been in circulation around the world in the last ten years. Wouldn't it be something to gather all of those readers together and hear them cheer? I'd like to award Kate my own personal gold medal, too. As a very new writer, with only two books to my credit so far, I'm in awe of her achievements. Not just the terrifying number of books she's written in such a short time, but the creativity, warmth and humour that's a hallmark of her work. (And of course the heroes. 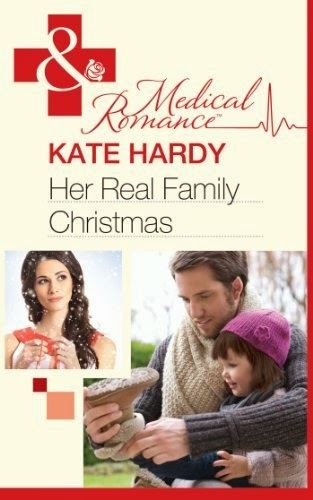 Who can forget Kate's heroes?) I'm so far out of her league that I should be content with one of her discarded chocolate wrappers. But does Kate think that way? In a word – no. In addition to her prodigious talent, she's a truly nice person, generous with her advice for newbies like me and open hearted with her friendship. So step up to the podium and take a bow, Kate. Enjoy every moment of your party. 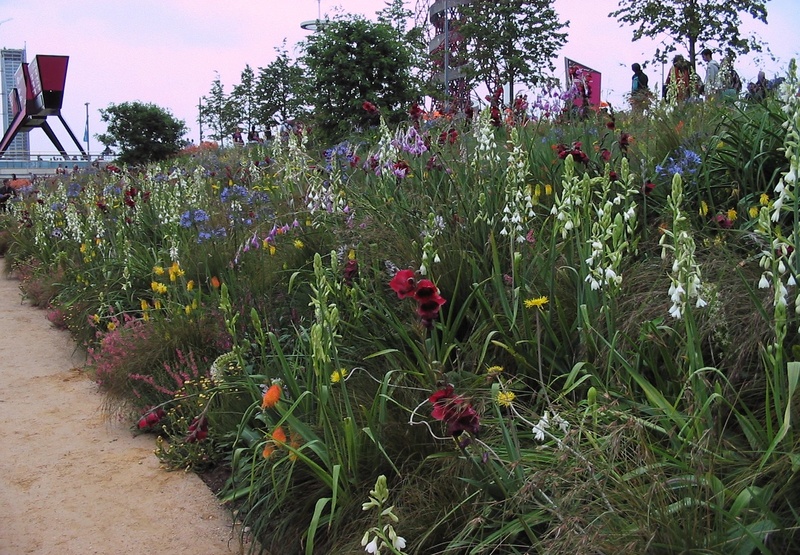 And to add to the cyber champagne, chocolates and roses that your other guests have brought along, here are some different kinds of cyber flowers – these are from just one of the swathes of wildflowers at the Olympic Park, which on their own make the area worth a visit. You can find out more about Annie and her books on her blog, http://www.annieclaydon.com. Gorgeous picture, Annie - thanks for that - and lovely post. Congratulations on your new book!I hope to meet you at this year's lunch! Fantastic post,thank you for sharing it al with us. I am terrible at the names of flowers ,I am better at cars,so I will not be able to help,I am so sorry. Thank you so much for the lovely contest and for the chance to win the book sounds fabulous. Liz, thank you so much. The flowers at the park are beautiful, I've lots of photos, none of which really do them justice. Hopefully people will be enjoying the landscaping in this area for many years to come and as the trees mature it'll just get better and better. I'm really looking forward to the M&B lunch this year. Last year I was so starstruck and overwhelmed that I didn't really dare to speak unless spoken to, but everyone was so welcoming. This year I hope to be able to string a coherent sentence together! Thank you for entering the draw Desere. I'm dreadful with flower names as well (and car names too!) and the only ones I'm really sure of are the poppies and, if you look very closely, a few dandelions. And yes, the dandelions are supposed to be there. I saw thistles with large purple flowers in another bed, which looked lovely. Liz - she's lovely and I'll make sure you meet at lunch :) Desere, aren't those flowers stunning? (And the book is fabulous.) Annie, thanks so much for your post and going to the trouble of getting that pic. I'm definitely planning to visit the park in the future. And roll on next month's author lunch! Thank you so much for having me Kate. This year's lunch will be very special! I totally loved the pictures I really like Dandelions !Thanks again for the contest ! First name drawn from the hat for a copy of 'Doctor on her Doorstep' - Desere. Please contact me kate(dot)hardy(at)btinternet(dot)com with your snailmail addy, Desere, and I'll get things sorted :o) Thanks for taking part! Awesome !!!! Thank you so much !